Light, Bright, Peaceful and Private. 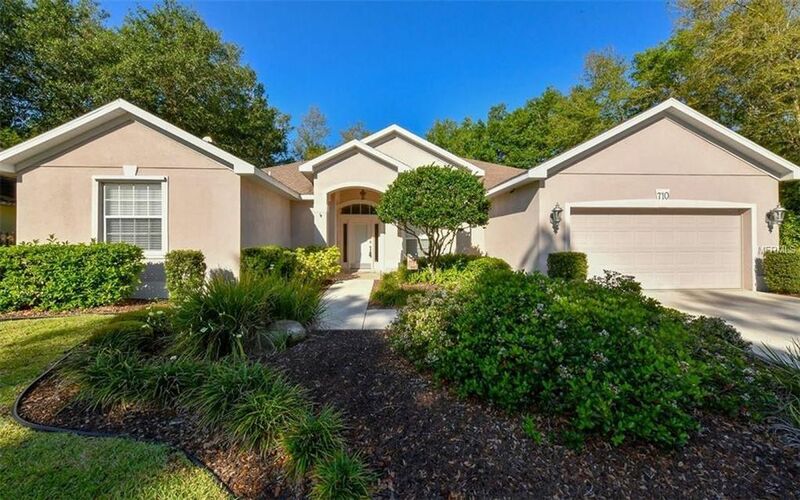 This 4 bedroom, 3 bath, plus office home on a corner lot, is surrounded by a protected, Messic Hammock Preserve. Freshly painted and brand new carpet with wood-look flooring offers a neutral palette to any of your design choices. The kitchen is spacious with abundant cabinetry and stainless steel appliances, overlooking the family room and the screened lanai. All the views are of the preserve. A formal living room and dining room is perfect for entertaining with lovely details like arched entrances, crown molding and abundant light. The master bedroom, with trayed ceilings, has french doors leading out to the lanai. The master bathroom has a huge walk in closet, dual vanities, water closet, soaking tub and walk in shower. The additional bedrooms are nicely sized and the guest room is situated away from the other bedrooms for privacy. The two car garage has a side entry. The Oaks in Woodland Park is a quiet, tree lined neighborhood tucked away in one of the best locations close to beaches, downtown, shopping and restaurants. One look and you'll know you are home! Directions: From McIntosh Road head north on Bahia Vista. Woodland Park is on our left; turn left on Woodview Drive. The Oaks at Woodland Park is straight ahead. Home on corner #710 Cedarcrest.